Work has been stressful. Summer session is always really intense. Add two new course preps and a project on top of that and you’ve got…someone who needs to bake. Growing up, my mom always baked the bread that we used. 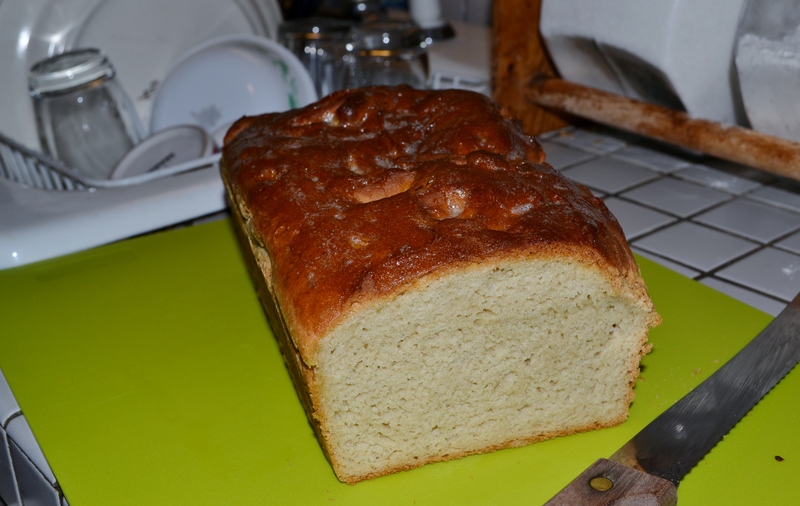 There was no better treat than a warm slice of buttered bread straight from the oven. It was good because anything is good if it’s slathered in mozzarella cheese, tomatoes, and basil. 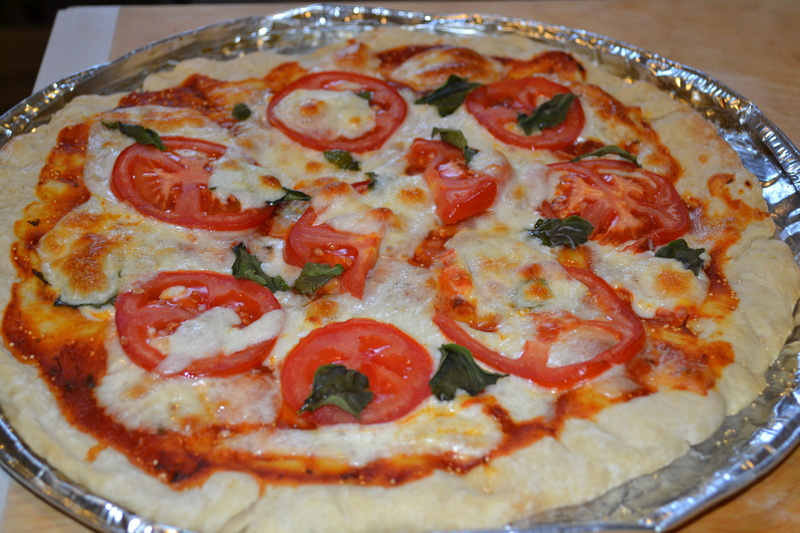 However, the crust functioned only as a vehicle to get said cheese, tomatoes, and basil into my mouth. 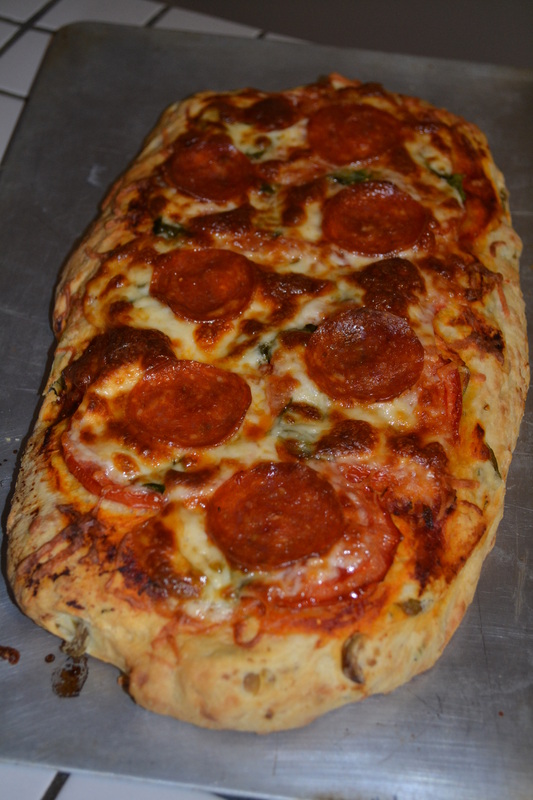 I used regular wheat flour, and the crust was still too thin and too crunchy and not very tasty. In the future, I’ll buy some better quality flour to improve the flavor, but I’m not quite sure how to get the crusts to raise. I think I’m over handling the dough, but I’m not sure how else to spread it over the pizza pan. Maybe I’m spreading it to thin? Next up, I attempted a pizza crust with gluten-free flour. It was disgusting. There was no rise to it and the flavor was a little worse than blah. Unfortunately, I forgot to take photographic evidence of the g.f. pizza crust to prove how ugly it was. Tonight, I’m trying pizza with wheat flour dough again, and it already looks like I’m going to have a problem with a flat crust. Wish me luck! This entry was posted in life, work on June 1, 2013 by sherewin.